So we’ve covered the things that make Gunpowder Fantasy similar to traditional Epic Fantasy, and we’ve covered the Gunpowder aspect of Gunpowder Fantasy, but Gunpowder weapons didn’t develop in a vacuum. Other technologies developed alongside rifles and today we’ll discuss a few of them. When using Steam in a Gunpowder Fantasy, you’ll want to be careful not to take it too far and wander into Steampunk territory. This would include things like fantastical creations, airships and flying machines. Steam in a Gunpowder Fantasy will be limited to rail travel. Different levels of advancement in steam power will determine the exact details of your railway, but it’s hard to argue that having railroads won’t have a major impact on how your story develops. With railroads available to the characters of your world, travel across large distances will be cut down to a fraction of what it would be without steam power and the ability to transport large numbers of soldiers or goods from one side of your world to another will impact the course of your world. When I was building Zaria, as I had mentioned before, I had initially decided on a much smaller world. But when I decided to use steam power, I realized that in order to keep the extended timeline that I wanted to maintain, I had to make my world much larger. Steam power on the sea is another element that can have a major impact on your world, if you are so inclined. Steam propulsion led to faster travel over the sea and, eventually, to ironclad ships. If you’ve built a world where the sea is a major part of the story or plot, this can change things significantly. Where Steam power will allow your characters to travel much faster than in a traditional fantasy, Telegraphy will allow your characters to communicate quicker. The advantages of telegraphy, however, are not without their limitations. Telegraph lines can be cut or, perhaps worse, hijacked to provide false information. For the nation of Ansgar, having instant communications across the entire nation was actually something that I wanted to limit, so I decided that their telegraph network would be built in independent sections. Riders are needed to carry messages from one network to the other, allowing me to build in a small communication lag that I use later for plot devices. When I was first building the Griffins & Gunpowder universe, I had considered leaving out the typical fantasy races, if for no other reason than to avoid the typical “elves live in the woods and are good with bows, dwarves live in mountains and like to mine things” tropes. I finally decided to bring Elves into the mix, but I decided that there would be two different nations of Elves. While the nation of Lot’Mai-Ron is more of a typical Elf situation, they live in a heavily wooded area and are more neutral/stand-offish, the nation of Laine is a sea power. The captains of Laine are treated as Kings aboard their ships and are prone to piracy and smuggling because of their better sailing skills. Now I’m considering bringing Orcs into the scenario, but not as the typical bloodthirsty idiots that they are portrayed as throughout most fantasy. I’m thinking about bringing the Orcs into the scenario as the people of a collection of city-states that were once a powerful republic but collapsed under the weight of corruption and the sheer size of the government needed. They have devolved to a collection of independent city-states that occasionally go to war with each other. I’ll keep them somewhat war-like in that some of these city-states will be the home to renowned mercenary regiments. I could even make it so that some of the city-states were humans and were conquered by the Orcs and integrated into the Republic before regaining their autonomy when the Republic collapsed. What do you think? And how do you handle the Fantasy Race trope? Do you embrace it and have tree-hugging elves and dirt-eating dwarves, or do you rework your races so that they have some variety? 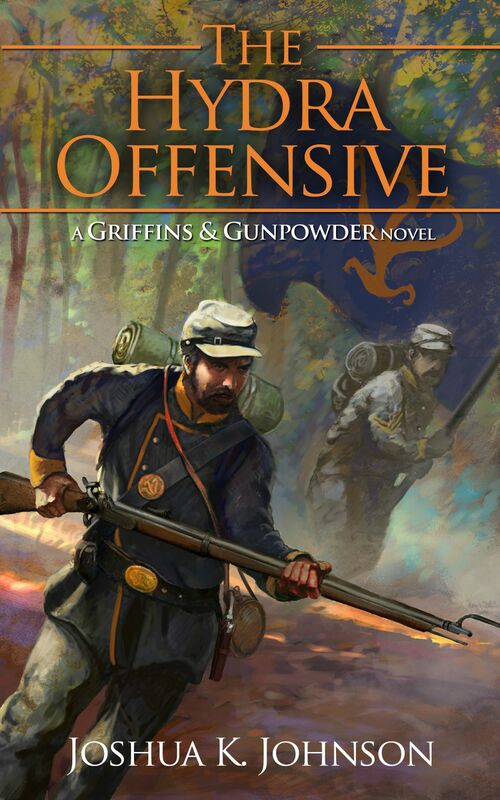 This post was originally going to highlight how my current working universe started as a random short story tapped out on my phone and converted itself first into a “historical fiction” type book and then into a Gunpowder Fantasy. Instead, I thought I would talk about how a single universe can be a wealth of opportunities for multiple story lines and independent series. I was reading A Way with Worlds post on cultures, and it came to me that building out a detailed world is not only important for immersing your readers in your world, but can spawn new ideas. As I was putting down some background information for my supporting short stories when some of the background turned itself into the basis for a whole new series. Now, writing two separate series in the same universe can be tricky. If you choose to have the two stories work closely together, you have to worry about writing both series simultaneously or risk revealing too much about one storyline. 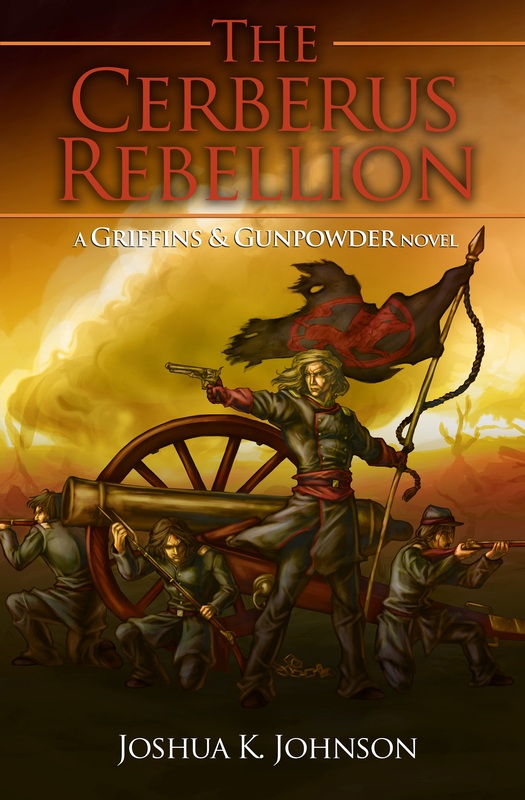 If you choose to have the two more loosely related, as I intend to do with my Griffins & Gunpowder and Red Dragon’s War series, then you have to focus less on either story revealing too much and more on making sure that any interactions between the two series are consistent between the two. One of the advantages of this approach, however, is that your secondary and background world building is already done for you. You also have the ability to make your world more detailed. Where telling about a certain nation would be an info-dump in Series 1, in Series 2 you can go into great detail as part of the story. What do you think about writing more than one series in a shared universe? What other challenges or advantages do you think would come with the territory? I think that one way to do this is to write some of this backstory and information not crucial to the plot (yet still useful) in the form of short stories, novellas and novelettes. I’m hoping that this will serve both as extra information for those that are interested and as a way to introduce readers to my world and maybe convince them to buy my larger works. To this end I have roughly plotted out the first 3 Short Stories, a Novella and a Novelette for my world. Through these stories I intend to provide some context to the catalyst for my series arc, some back story for one of my secondary characters and for one of my main characters. So how have you countered the problem of infodumping? Have you gradually worked it into the main story, used short stories to tell some of the background information or have you found another way to provide background without overloading the reader? Leave a comment below and let me know your methods.